When was the last time you saw a fairly clean 131 / Brava? When was the last time you saw one at all? The Brava was known as the 131 Mirafiori throughout most of the world. 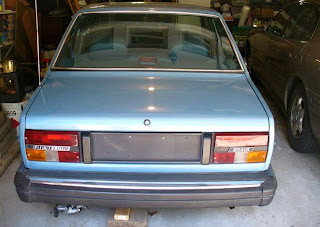 In 1978 Fiat started marketing it as the Brava in the US. 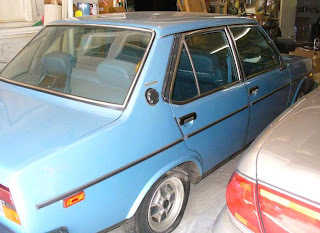 Like most Fiats that came to America, the Brava was brilliant on paper. It's a rear-wheel drive car that handles very, very well. Its 2.0 liter engine revs like crazy. The body is boxy, but there's a lot of room inside, especially for a relatively small car. The interior is comfortable and full of interesting "only the Italians would design it that way" details. The reality is it's a Fiat. Like just about all Fiats that ever came to America, it had more - way more - than its fair share of problems. Rust, of course, was the biggest. Iffy electronics caused problems, too. Cheap trim and switchgear broke early and often. A dealer network that by 1980 didn't care very much about the cars or customers, didn't help things either. This car has been in storage since 1997. By old, unrestored, neglected Fiat Brava standards, it's in amazing condition. It has a bit of rust in places, of course, but no holes. The interior is clean and the seats look to be rip free. The seller says the engine runs with fresh gas. This is a really desirable Fiat project. It's a 5 speed with just 57,000 miles on it. It has air conditioning (which is useless even when it's working - eliminating it is probably the best course of action) and the original AM / FM radio. The seller is looking for offers for this car. Located in Dedham, MA, click here to see the Craigslist ad. A big thanks to Gene for sending me the link to this car! As of 10:45 PM EST, it was still listed. My first car was a hand me down (from my mom) 1978 1/2 Super Brava. 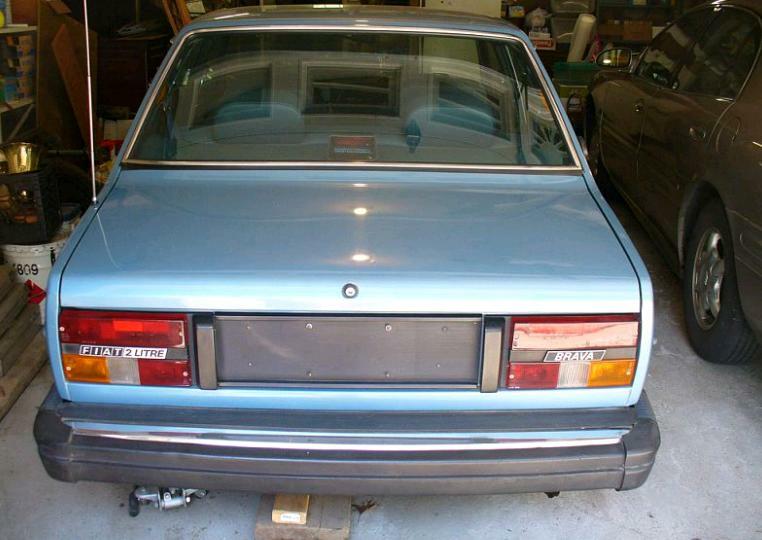 When Fiat introduced the made over 131 in the US for the mid 1978 model year, they had two models. The Brava which had the 'old' 131 interior but freshened exterior and the Super Brava which had the updated interior (with the funky Citroen-like unispoke steering wheel). In 1979, the dropped the entry level Brava and rechristened the Super Brava as the Brava (Pontiac took notes for their J2000/2000/2000 Sunbird/Sunbird naming history...and look where that landed them..oh). 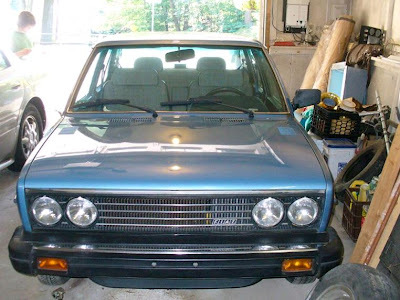 Our Super Brava was slow, started rusting immediately (when my Mom still had it), had to have the entire transmission and driveshaft replaced the first year, had to have the AC fixed on a yearly basis, etc....and I LOVED it anyway. 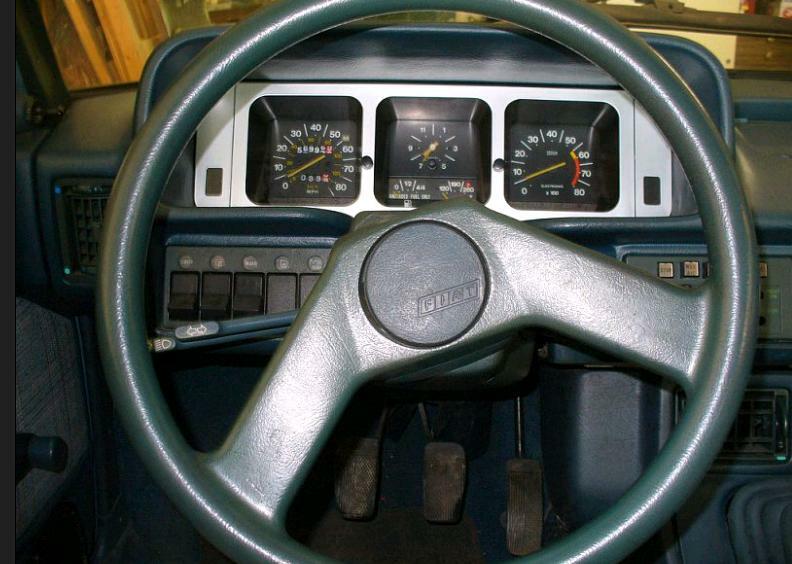 It did have a gorgeous (for the time) interior that rivaled (stylistically at least)cars that cost thousands more (and Fiat pointed that out in its ads). But they did drop the unispoke sterring wheel when they dropped the 'Super' part of its name. Gone! Anyone know what the price was? Hello, i want to buy your fiat 2 litre brava. Please reply if it's available thanks Lloyd.